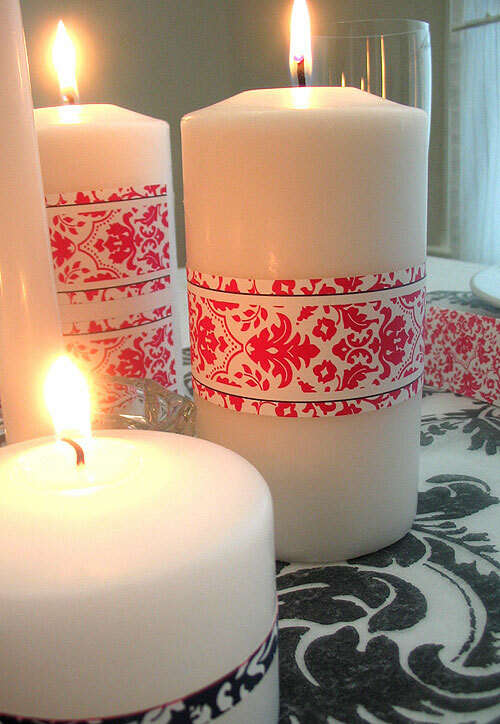 Candles always create a special atmosphere – they can make the space cozy, beautiful and warm. 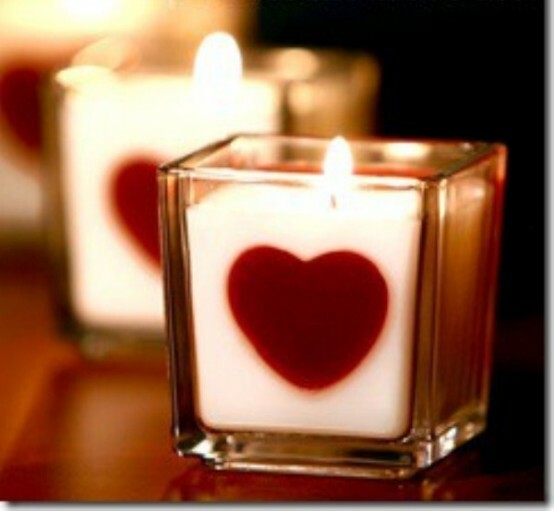 For the Valentine’s Day décor candles are irreplaceable. 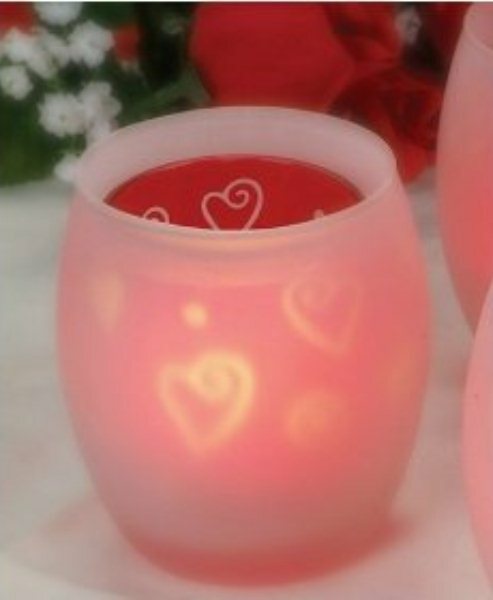 They would help you to create a romantic, beautiful, cozy atmosphere, full of love. 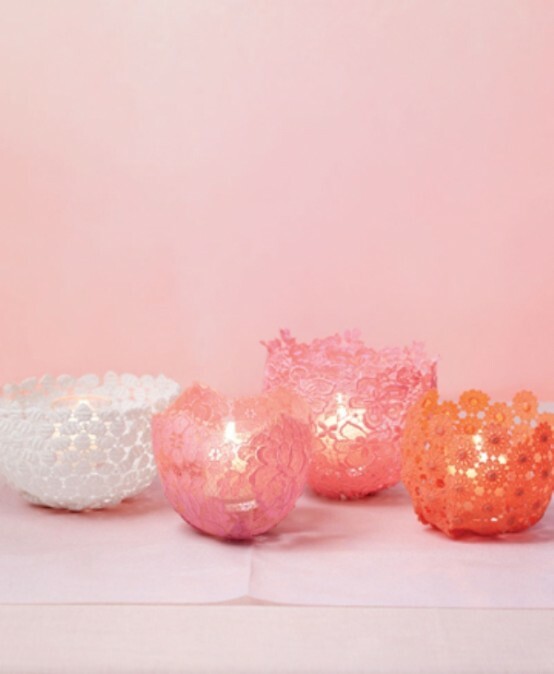 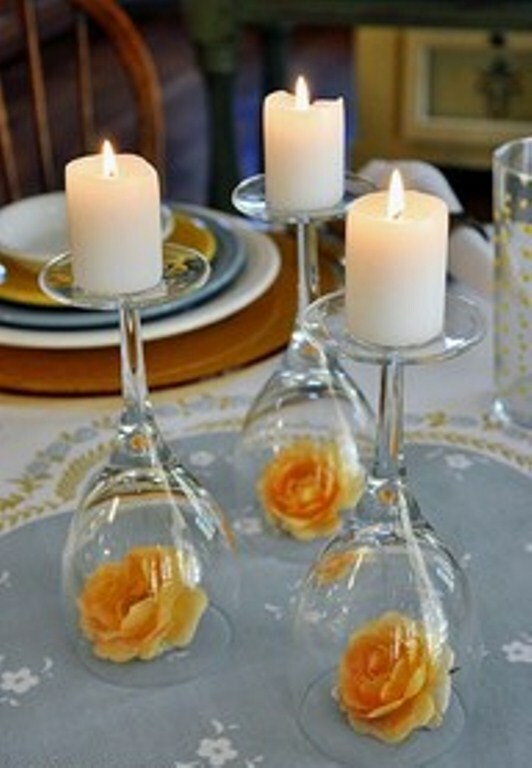 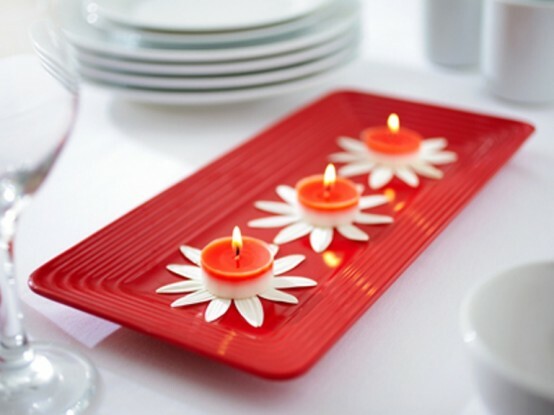 If you have simple candles, use rose, red, lacy and just original candle holders. 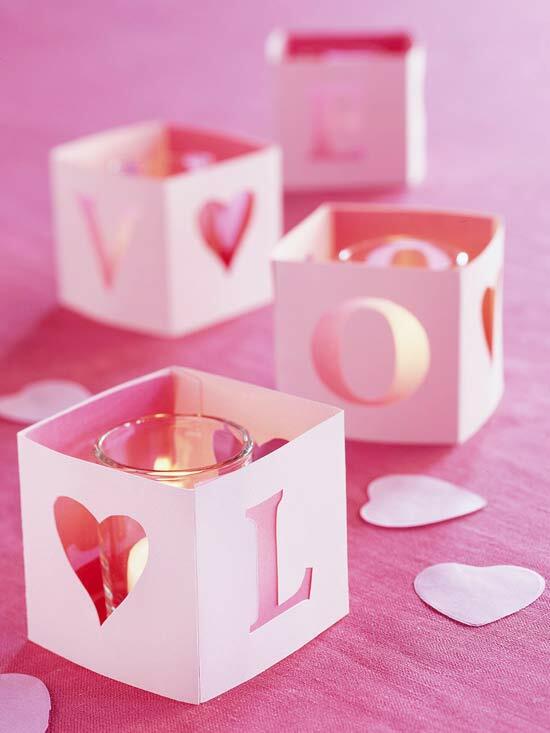 You can even take some usual ones and wrap them with paper and hearts. 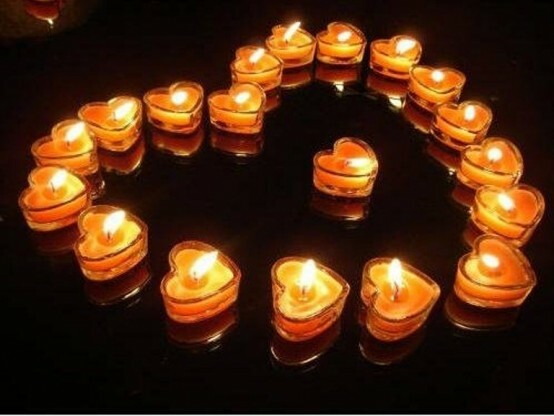 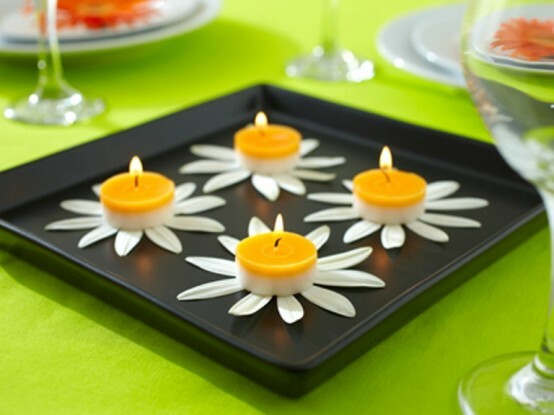 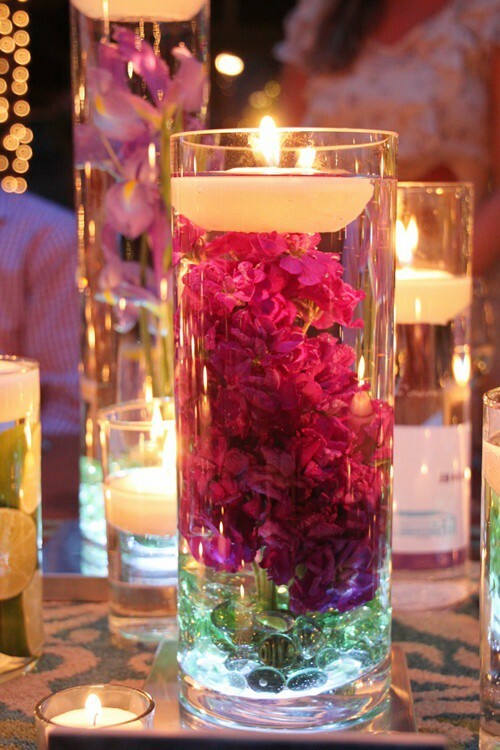 If you want just candles, decorate them with hearts, flower petals or let them flow in water with flowers. 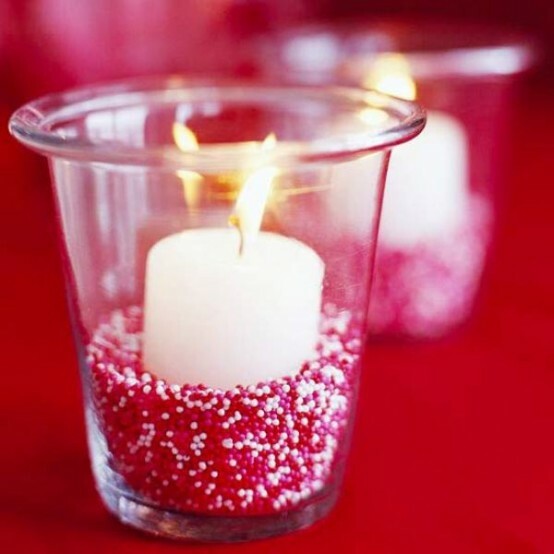 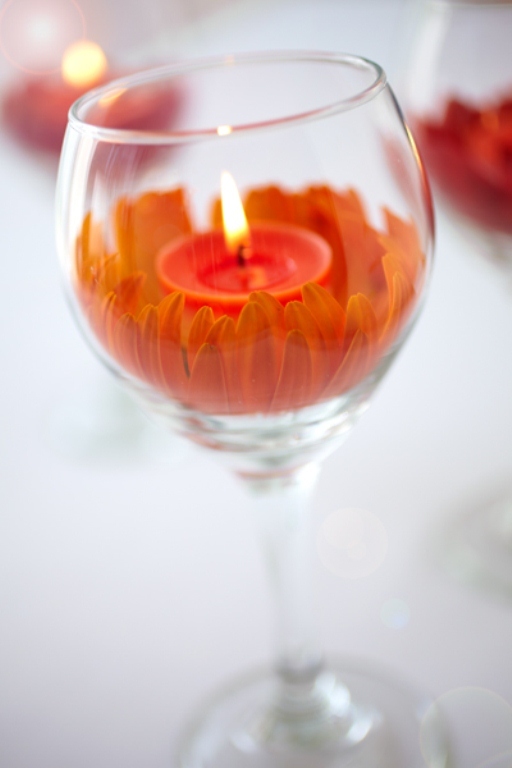 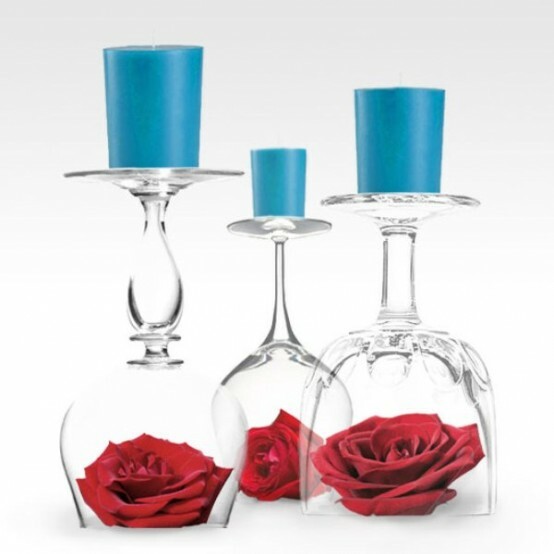 So, use everything rose, red and flower to decorate candles and candle holders – and you will reach the goal. 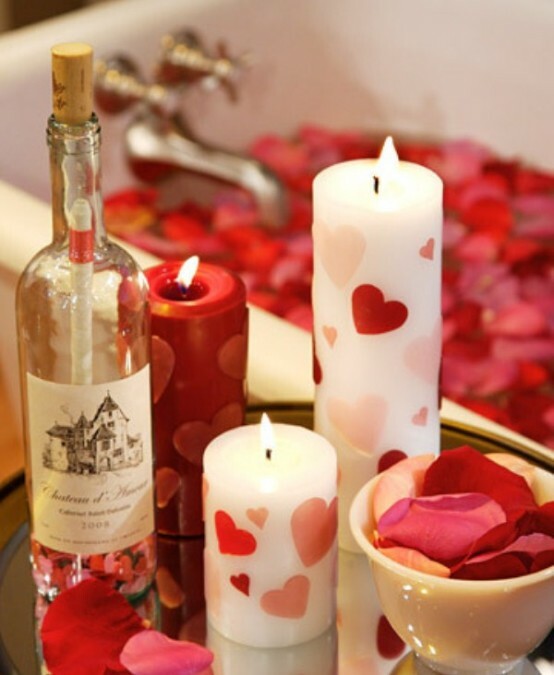 Enjoy your love Valentine’s atmosphere.